a leaner driver that maybe has had a few hours with Mum or Dad or maybe did not get on with their previous driving instructor and wants to try someone else. has had about 40 to 50 hours of driving tuition and maybe has failed a driving test in the past and needs a bit of help to get through the next driving test. We offer some great deals on a range of courses with qualified driving instructors who now the local Sunningdale area. 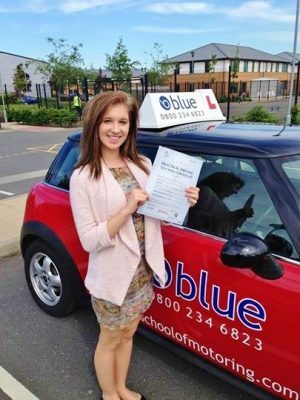 Your Blue School of Motoring instructor in Sunningdale will pick you up from your home, school or place of work. Your driving instructor will then explain to you how your driving course is going to work. What to prepare for how to study for the theory test, there will be a lot going on in your first lesson, so a two hour session is usually the norm. You will driven somewhere away from busy streets, so you do not have to deal with any complex traffic situations on your first lesson. Bring along or wear some sensible shoes that will make using the foot controls easier.